The idea of this lounge / dining area was to create the feeling of space, even though it isn’t the largest floor plan. The Three Birds have done an amazing job and this is a struggle for many people when building or renovating a home. 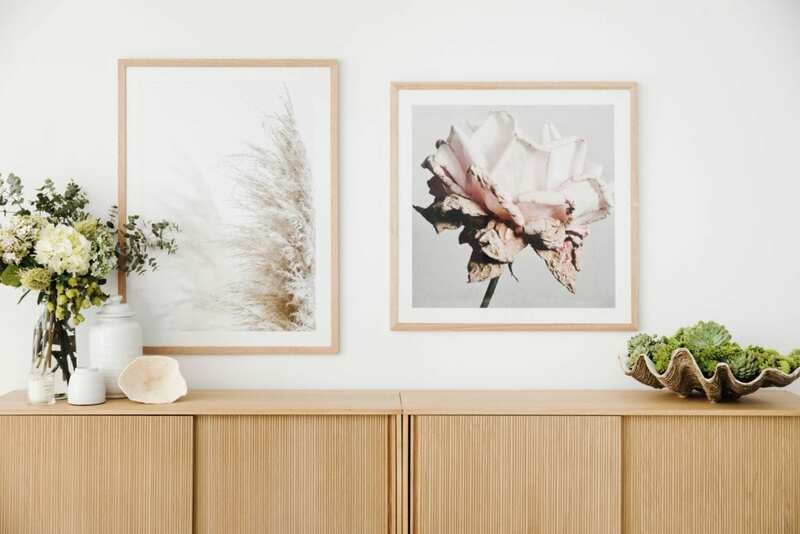 We’ve put together some great tips and ideas to help you design that odd space or one which just doesn’t quite fit in everything you dreamt of. 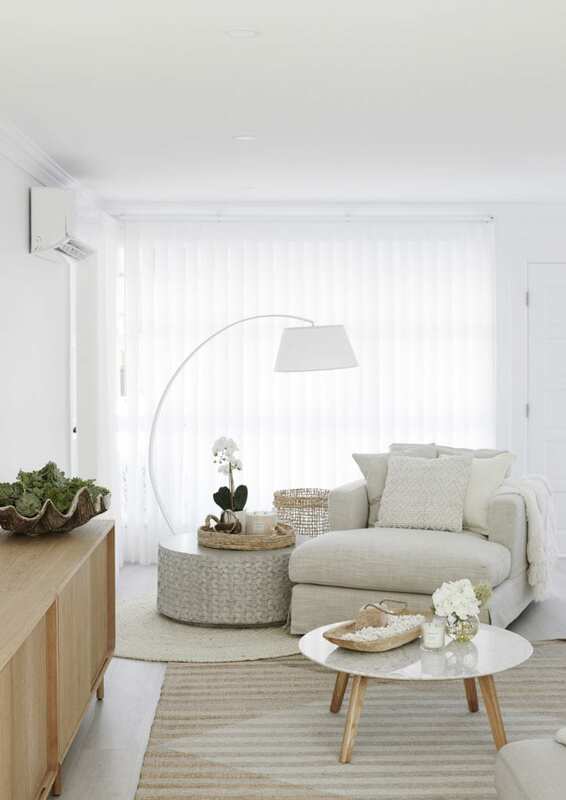 Keeping your colours light and fresh together with maximising the natural light coming into the home will give the illusion of more space. Using mirrors on opposite walls to create the infinity effect or opposite a light source will help bounce the light around and make the room feel larger. If you can, layer your spaces. What we mean by this is that if you have the opportunity to open up doors and windows to see through to other spaces, even if that is outside, take advantage of it to give a sense of extended space. If privacy is an issue, try some sheer curtains. 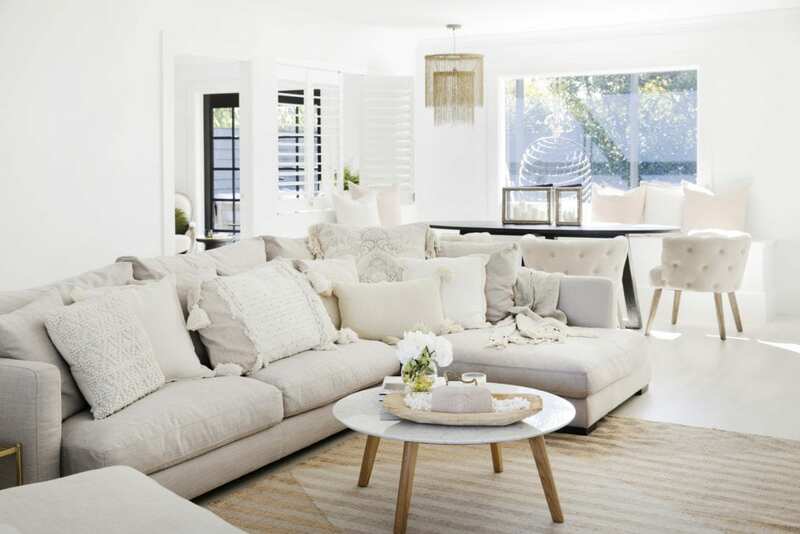 A continuous floor is an easy trick to make a space feel light and airy. As with this home, keep the floor the same between spaces and don’t block the flow with rugs. Of course we’re not saying don’t use rugs at all, but keep them sparingly. 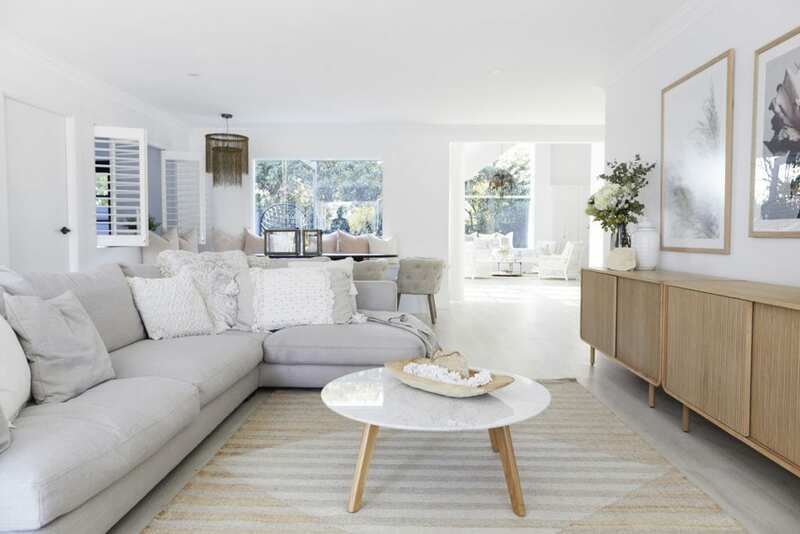 Adding a rug under the lounge and not in the walkway of this space has maintained an excellent flow and opened the space up. The rug is also not too large and isn’t jammed under furniture, with the free space around it creating the illusion of more room. A well-chosen rug like this one helps define the space and being long and narrow, it maintains the eyes flow through to the back of the room and to the courtyard and hall through to the kitchen. A decorative skirting and architrave will add texture and detail to your space without taking up valuable room. The Intrim SK59 skirting board used in the Three Birds House 9 is tall (230mm high) but relatively narrow, creating the illusion of detail without the bulk. The large flat section and small detailing also helps with drawing the eye up and keeping a flow along the wall. 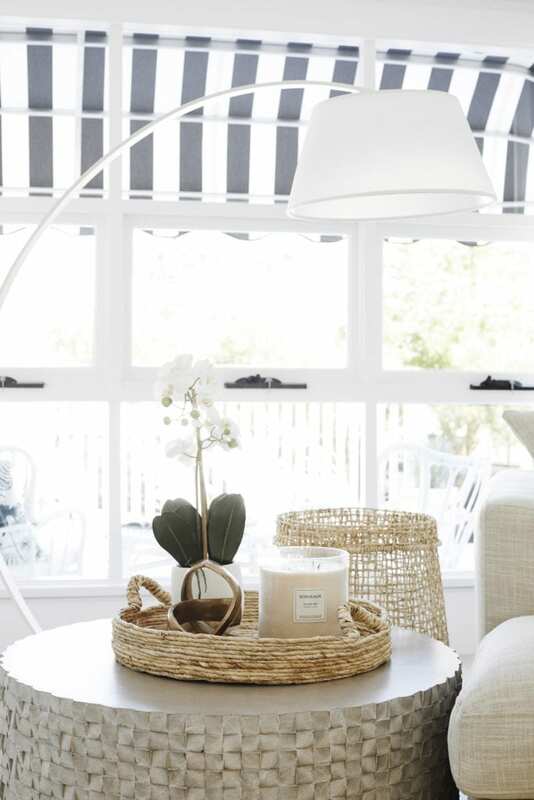 By painting your mouldings and trim white, it elongates the lines and helps the eye pass over the whole room and not be distracted by changes in colour, making the room open up and feel larger. Using the same skirting boards throughout your home will also create a flow to keep the eye moving forward. Transforming an aesthetic feature into something functional is essential in a smaller home, but very handy within any home. It makes the furniture feel like it is part of the wall and opens up the space, as well as provides for practical seating. For the best result, keep the built in feature the same colour as the walls to create a seamless effect. 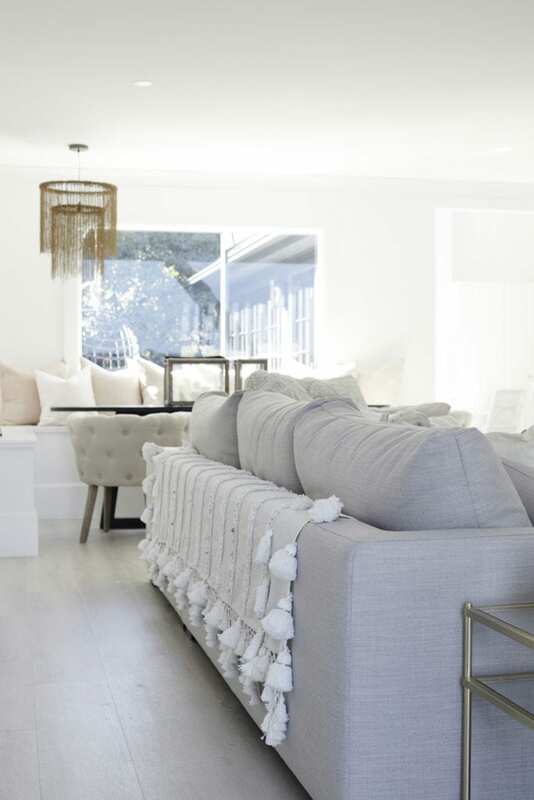 The beautiful bench seats that were installed in this home were purely for the look, but were used as additional storage as an afterthought, which really increases the value and use of the home. Somewhere to seat more friends and family so they can admire your home AND somewhere to stash more things – GENIUS! The colours were kept neutral and not dramatic so as to ensure a smooth flow and no elements were blocking the eye. 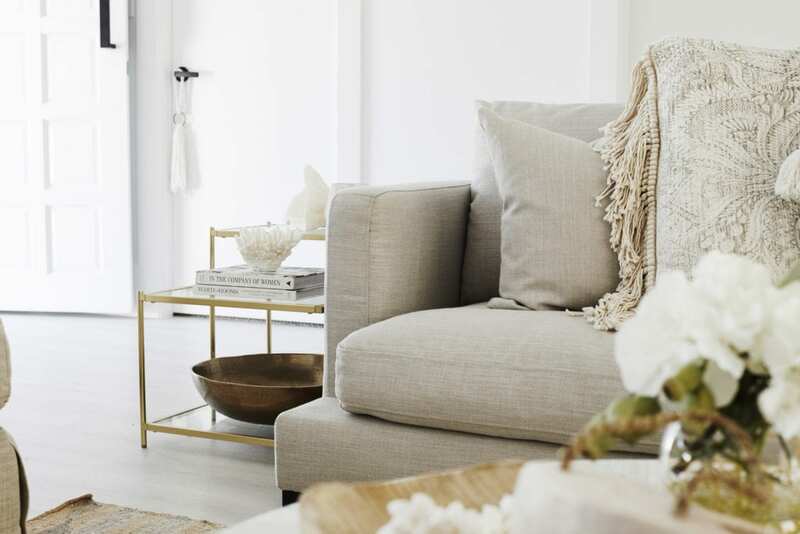 A good rule to follow to ensure a small space doesn’t feel cluttered is to make sure there is 60-100cm to walk between furniture or in thoroughfares. An excellent tip from Lana is to use a lounge with a lower back so you can look past it, especially if it is a position near an entry or walkway. 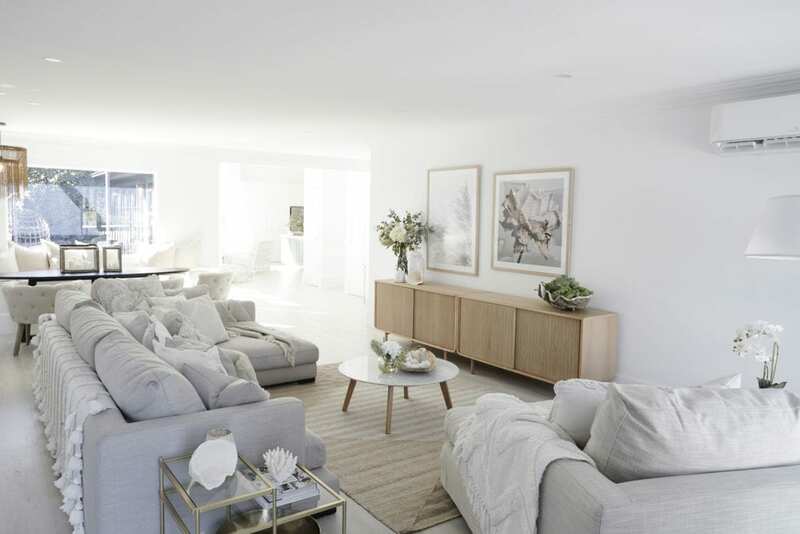 If you are styling a long and narrow room like this one, instead of trying to place all of your furniture along the length, try to think of it as multiple spaces and create smaller ‘zones’ that work within the space. 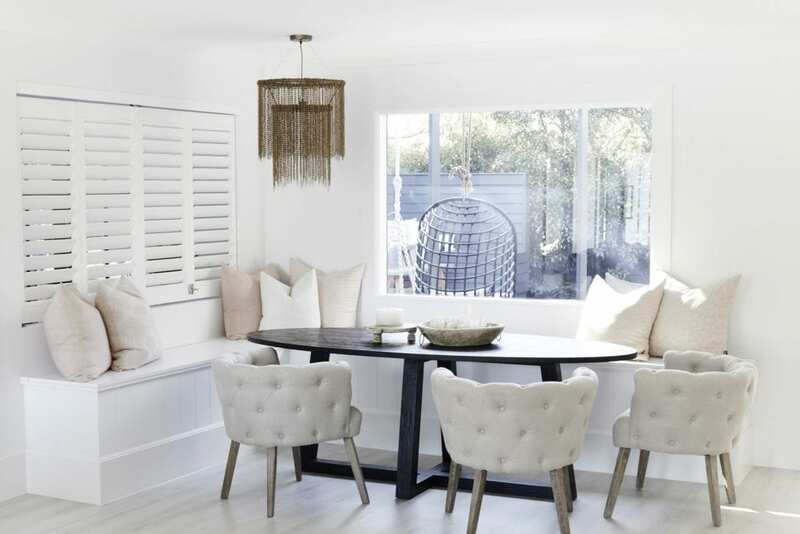 Bonnie has done this perfectly here creating the dining, living and single seat reading area in this home which makes it more functional and appear larger than it is. If you’re limited for space take to your walls for decoration and try keep your floor space reserved for necessary items only. 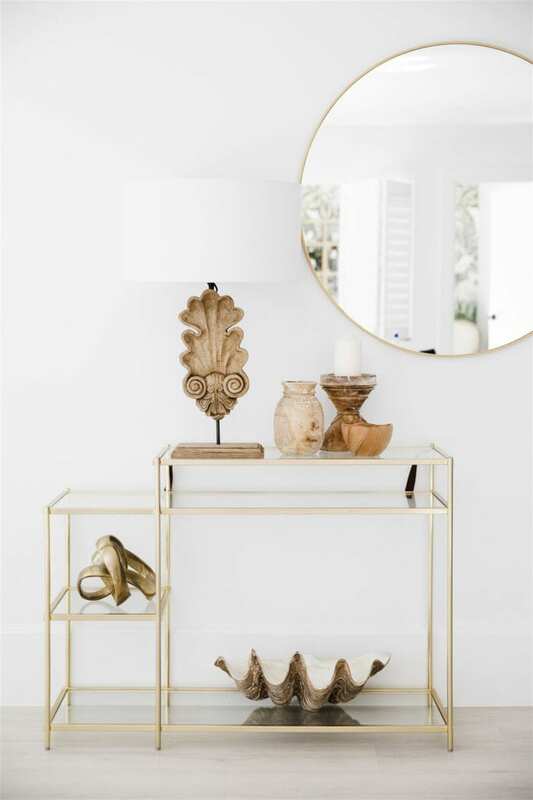 Glass and furniture with ‘holes’ in them will also help create the feeling of a larger room. Transparent furniture will appear to take up less space while giving you some more functionality from your space. The trick is to keep things simple, keep lines clean, keep colours bright and fresh and don’t over complicate your design or styling.